Thanks to Macadamia Oil and Vitamin E, the Note Mattemoist Lipgloss keeps your lips moisturized all day long with a matte finish. One of our most popular products and truly a standout product in the brand! This 8 color lip gloss collection offers pigment-rich shades in a pillow-soft, silky matte finish. The texture is soothing and comfortable, while delivering a true matte payoff without the drying powdery feel. Hydrating oils and vitamins guarantee the formula keeps a moisture-rich feel on the lips. The eight stylish shades were specially created to wear perfectly in a matte finish. look. About the Brand: NOTE Cosmetics is your one-stop destination that aims to enhance your beauty with their wide range of cosmetics. Ranging from high-end beauty products for all, this brand comes with a stunning luxe makeup the line to capture and embrace the art of beauty without compromise. Explore the entire range of Lip Gloss available on Nykaa. 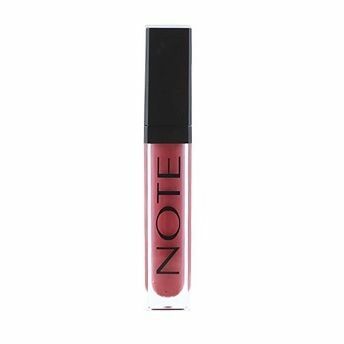 Shop more Note products here.You can browse through the complete world of Note Lip Gloss .Alternatively, you can also find many more products from the Note Mattemoist Lip Gloss range.